The music is quite impressive. The movie tries, but ultimately fails at bringing social commentary in fantasy-land. Watch it at your own risk. It might be so bad it's good for some. According to Max Landis, Bright had the potential to become his Star Wars, but as he wrote the movie, let’s say he is biased. Since I am biased myself, I will have to say that while the movie had potential to be something memorable, it failed spectacularly. The general premise of the movie revolves around the idea of a society where elves and orcs live alongside humans. There are other creatures as well, used mostly for comic relief or punchlines, but this is hardly explored. And since we have this brand new world to work with, do we get to see all creatures work in harmony and act like they are enlightened beyond our day to day existence? The short answer is no. The long answer is that the movie is supposed to be a metaphor for reality, but for that to work slightly more thought needed to go into what was presented on screen. Oh and cops are bad. Really bad. Don’t ever trust cops. 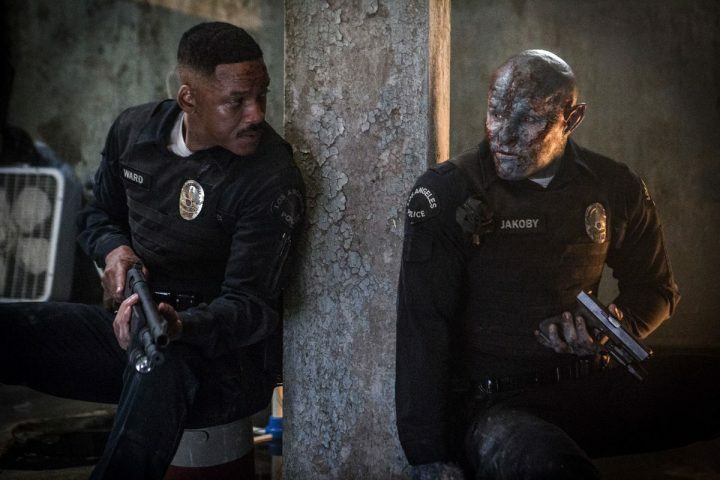 As far as potential goes, Bright had a lot – even as a social commentary piece – but it failed to properly address the very issues that were at the root of its creation. Will Smith portrays Daryl Ward, the unfortunate cop that has to accept an orc partner, as part of a new integration program, Derek Jakoby played by Joel Edgerton. Without mincing words, the orcs are seen as crude, violent and the target of many prejudices and stereotypes – the biggest being that they are all criminals lacking common sense. I will leave you five seconds to guess just who the orcs are supposed to represent. The Elves are the opposite of orcs – smart looking, sharply dressed, smart and superior in both behaviour and generally keep themselves from mingling with the orcs or the humans if they can help it. The social divide between the three factions is palpable and the way everyone is disgruntled about it – with the exception of the elves (have a wild guess who they are supposed to be) – is hardly used in the movie, with the exception of some slurs thrown in at random times – lest we forget we’re supposed to care about this. Most people are motivated by greed or by lack a lack of understanding regarding the effects of theri actions, but the racism takes a back seat to that, even though this was supposed to be the exact thing the movie was created for. The movie focuses on Tikka (Lucy Fry), a young elf that steals a magic wand in order to prevent her “sister” from using it to do evil (this seems to involve a Dark Lord, but it’s never properly elaborated on, as most things in this film), and the struggle Daryl and Jakoby have to face in order to keep her safe. It had so much potential to be an amazing movie that the disappointment that followed me after it was over, was even less palatable than if it had been destined to fail completely from the start. But everything fell flat. You’re supposed to root for Daryl and Jakoby, but one by one their decisions range from misguided to downright stupid. Jakoby’s arc – him learning to accept both sides of himself: Derek the cop and Derek the orc – would be much more compelling if he had shown that he was not, simply put, a bad cop. It’s hard to argue with the fact that even the worse cops their precinct has to offer agree that he is not cut for the job, as he either fails to react or reacts in the worst way possible, when needed. 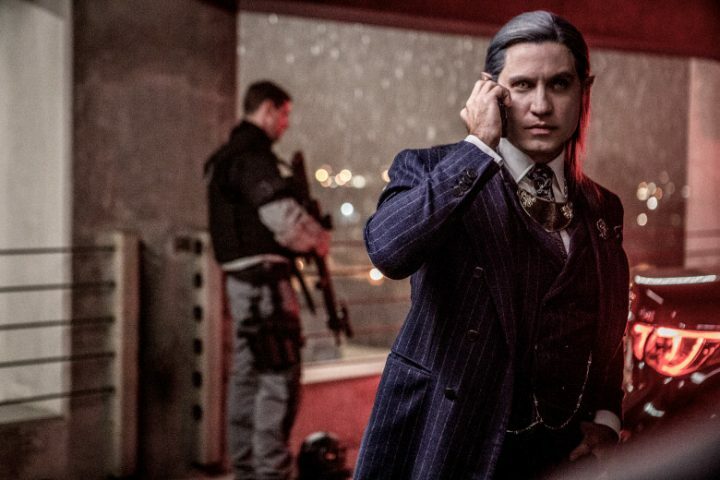 There was a single interesting character, in my opinion, and that was Kandomere, played by Edgar Ramirez. He seemed to know what he was doing, at least. While perhaps that was the whole point, having our “heroes” run around like headless chickens, throwing around Fairy lives don’t matter! and presumably learning to be better, it was disappointing for it’s flash without substance behaviour. It reminded me of another movie directed by David Ayer that came with an equal dose of disappointment. Suicide Squad, anyone? The movie hits all the notes of a classic fantasy work – unwilling partners on a surprise quest, a prophecy, it even throws in a resurrection for the hell of it, making it also a movie without lasting consequences – and yet. At least the villain was compelling, in that Leilah was smart and for the better part of the movie she managed to avoid all tropes that befall villains all too often. Then the ending ruined it all by having her fall in the same trap that all villains must fall into, in order to give our heroes time to save the day: the speech about her motivations. I really want to see a movie where the villain wins by simply dispatching of the hero while they can, as opposed to provide them with ample opportunity to save themselves. Maybe I am too harsh of a critic, but the movie drowns in its own hubris and the side plots that fail to be distracting (does anyone remember Ward’s partner being…speciest? Or that he has trouble paying for his house?) are just there to fill the time and at two hours, Bright really did not need them. The jump between one dark room and a dark street, with loud music and noises in the background are enough to both distract and fill the time, especially when all the disjointedness of the narrative needs to be pieced together by the viewer, because the background of this world is never explained, nor are the rules by which it works. 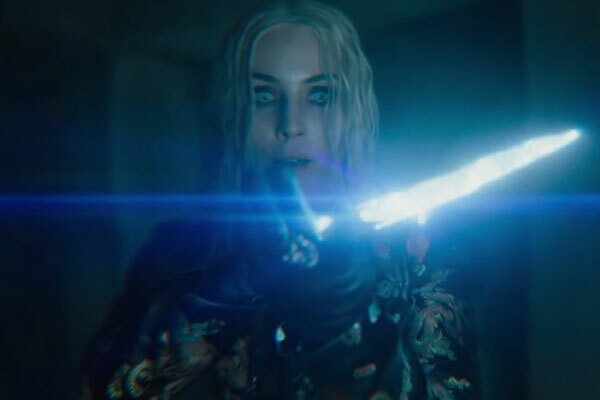 All in all, Bright is watchable, but not impressive enough for a rewatch or a sequel.